Bonnie and Clyde, macaroni and cheese, gin and tonic – a perfect partnership brings together two different but equally awesome things to create something even better. At a recent UKFast event we spoke to some very special guests who explained why they bet on us, and why it’s important to have these partnerships. At UKFast we’re big fans of working together to drive improvements. Our partner programme spans referral, reseller and white label, so, whether you want to refer customers with a hosting requirement with confidence while increasing your revenue stream; resell our award-winning cloud, colocation and managed hosting solutions directly from your portfolio; or impress your clients by taking our enterprise-level technology and adding it to your portfolio as your own, there’s something for everyone. We’re partnered with some of the biggest names in the industry to make flippin’ sure that we’re operating at the cutting edge, and offering our customers – and their customers – the same. We caught up with James Akrigg from Microsoft, Jo Laking from Cisco and Peter Barnes from Dell when they spoke at our recent Cloud UK Live event – here’s what they had to say! 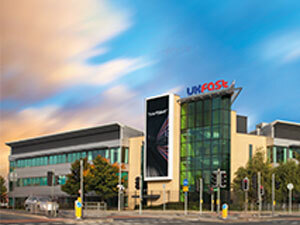 Find out more about the benefits of becoming a UKFast partner on our website!